In the centre of town we now have apartments at Monte Dourado, apartments Casa Borboleta and 46B privately and also we work on behalf of the complex. 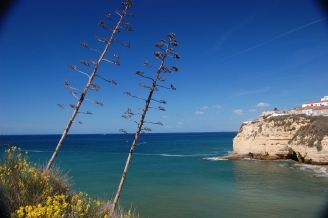 Monte Dourado enjoys a privileged hill-top position overlooking the Carvoeiro beach and within strolling distance of the village, recognised as one of the Algarve´s most upmarket coastal resorts. Monte Dourado Guests have the choice of five swimming pool areas (each with kiddies pool) and there are two tennis courts on site. On the clifftops to the left of the beach, near the church we have a 2 bedroom apartments 12 Cerro Dos Pios, a studio and two rooms. 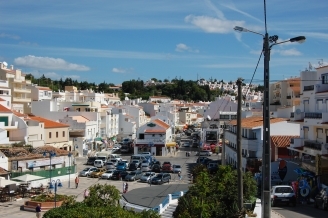 To the west of Carvoeiro town are the areas of Salicos, Alfanzina, Vale Do Milho and Rocha Brava. 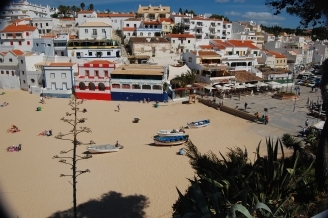 Five of the Villas we have in Carvoeiro are in this area. In Alfanzina we have the stunning 6 bedroom villa of Casa Ursa and in Quinta dos Salicos we have Casa Grande, a luxury 3 bedroom villa with gated pool. Along the coast road out of Carvoeiro to the west a few kilometers away along the coast road and just before Palm Gardens is a left hand turning, along this road we have the luxury 7 bedroom villa of Casa Mouraria, the 5 bedroom villa of Casa Alegria and the 3 bedroom villa of Casa Mimosa. Further along the coast road to the west, but just before Praia do Centeannes and on the left we have the 3 bedroom villa of Casa Birgitta with stunning views and just behind this is the 4 bedroom villa of Casa Rostra, a great villa for familes. To the east of Carvoeiro at the top of the old donkey track is Casa Solferias, a great 3 bedroom budget villa. Further along the road towards Sesmarias is the 4 bedroom villa of Casa Vista Mar, close to Vila Nova. Past the Monte Santos complex you come to a roundabout, if you turn right you come to BoaVista where we have the 4 Bedroom villa of Casa Tulipa, if you carried straight on at the roundabout you come to another roundabout. 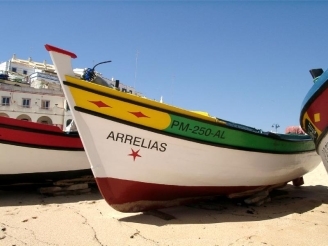 Straight on at this one leads you to Carvoeiro Tennis Clube and the luxry 6 bedroom villa of Casa Mill Reef and right at the roundabout takes you to Sesmarias and the 4 bedroom villa of Casa Estrela Mar. Also to the east of Carvoeiro and about a 10 minute walk is the resort of Quinta do Paraiso, here we have one of our most popular villas, Casa Pacata a home from home 3 bedroom gated pool and opposit we have the luxury 4 bedroom villa of 60 Quinta do Parasio. Working with 3 other third parties we can now offer a good range of additional properties in the area and we are continuing to work hard to increase our own portfolio so that we can offer you the right choice.